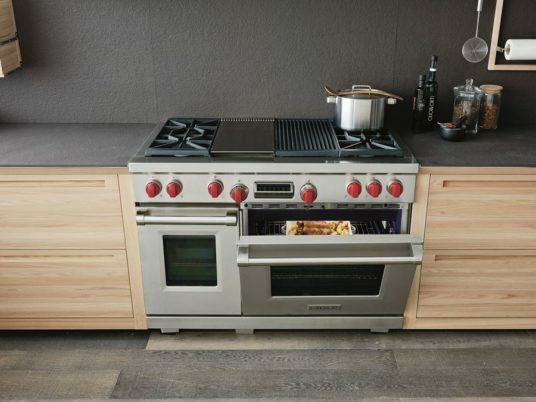 The expert Wolf appliance repair Albuquerque & Santa Fe homeowners have depended on for years is only available through Ortega’s Appliance Service. A family owned and operated business, Ortega’s has brought top-quality service to families throughout the greater Albuquerque area for nearly half of a century. Now, we’re continuing to offer our unbeatable customer service and affordable pricing to the homeowners of Santa Fe. Our commitment to our customers does not end once the repair has been completed. Ortega’s Appliance believes that the best customer service is one that stands behind their parts and labor. We’re dedicated to your satisfaction every step of the way, that’s why we extend limited warranties to all of our repairs. In the event that an appliance breaks down within 90 days of our initial repair, we’ll gladly return for free and identify the issue. If the point of failure is due to our original repair, we’ll fix it for free. All repairs on single family dwellings also come with a one-year warranty on parts and labor, meaning you can rest assured we’ll see your problems through until they’re completely solved. Ortega’s Appliance Service is the worry-free Wolf appliance repair Santa Fe and Albuquerque families can always count on!